I recently collaborated with the Town & Country team on the December/January Issue Muses Program! On past features we’ve focused on beauty topics, accessories and my favorite pics for home & studio - this time I wanted to divulge my tips for getting through the holiday season in style. Living in a metropolis as crowded and hectic as New York City is not always easy, but when you find your favorite spots that act as your home away from home, it’s easy to relax and be productive in the same day. I live in Brooklyn but my trips to Manhattan are frequent due to the nature of my job. If I’m en route to meetings, I want to find a comfortable coffee shop in between appointments to work on my computer or a cozy spot to have lunch. I also need to be able to run errands and do my shopping without feeling like I’m fighting for the item I want…and I want to do it all without being overwhelmed! During the holiday season, remaining calm and balanced can definitely be a little bit too much to ask but I promise you it’s possible! One of my favorite spots in Manhattan is The Shops at Columbus Circle which is a one-stop-shop for all of your holiday shopping needs. It is located right next to scenic Central Park (which in itself is a dream holiday scene - shopping followed by hot chocolate while walking through the park). The Shops exude luxurious offerings, as well as fantastic recharging spots like Bluebird London. Located on the 3rd floor of The Shopping Center, it’s the perfect spot to unwind or even take a meeting if you are looking for a relaxing location with lovely food and drinks. The cafe reminds me so much of home with its British influence on dining (I can never say no to high tea!) and the decor is colorful and warm which is a nice contrast to the chilly, grey weather outside. The holidays are all about indulging and although I love to shop for others - it’s a time of year where I always like to gift myself too, especially after a very busy year! My indulgences often come in the form of luxury bags as it’s something I wear every day. My go-to bag of the season has to be the Longchamp Amazone bag - it’s the perfect size to carry in the city and fits all of your much-needed items, from cosmetics to work items to travel essentials. Trying to think of an intimate and personalized gift, for that tough-to-buy-for person on your list? My all-time favorite item to gift is a luxury candle. My favorite candle-of-the-moment is The Harmonist ‘Yang Fire’ which gives off a warm and inviting smell. I love burning this candle at home during the holidays and my houseguests always compliment it. I also love gifting jewelry - a simple bracelet or necklace speaks a thousand words. A keepsake that will last forever and be worn time and time again. My favorite bracelets at the moment are Vahan’s stacking bracelets where you can go from day to night by starting with one and adding more for ultimate holiday glam. LEFT - Head-to-toe in Longchamp whilst walking in the area of Columbus Circle - the location of ‘The Shops at Columbus Circle’ RIGHT - My favorite gift to give this season - The Harmonist’s ‘Yang Fire’ candle. Choose an element and gift something more personal this year. Longchamp’s Amazone bag is the perfect fall accessory. Accessorised with Vahan’s stacking bracelets and ring - great statement pieces to wear for any holiday party. I hope this gives you a few ideas to make your holiday season more glamorous! Be sure to check out Town & Country’s December/January issue with more great holiday inspiration. I’m so excited about my recent online education series release. The Fashion Series is a two part course that breaks down both the fundamentals and inspirational challenges and is over 16 + hours of content and includes 2 essential PDF downloads on lighting & styling/trends (and more coming soon). I’ve never before shown my entire process like this and it is very different to any other course out there. In this extensive series I am sharing everything I know. In the fundamentals - I am sharing techniques that I regularly use on set and have learned from my years of working experience in the commercial industry. With the challenge videos - I am showing you it’s possible to create stunning portfolio worthy-images with limited resources. You’ll join me in five different shooting scenarios - ranging from the beach, a rented apartment and a small rented studio space. You’ll see me work step by step from the initial concept and inspiration through to the shoot itself and talking through the final results. Portfolio building is essential. As a young photographer I quickly built my business and became recognized for my work because of it’s creativity & experimentation. I learnt very early on that consistently building the portfolio helped me find my style and gave me a competitive edge and also a way to pitch to my dream clients. I wish this information was available at my fingertips when I started out. We live in a competitive creative market and I believe fashion flair is the “magic ingredient” that can be added to your work whether you shoot weddings, portraits or fashion. This modernizes your portfolio and shows that you are touch with current trends. In the series I also talk through setting your intention with every shoot and how you should be shooting with an “editorial eye” whenever shooting personal work or portfolio building. This is key when showing your work to photo editors, creative directors and appeals to personal clients. I realized a few years ago that it would be impossible to reach all of you with my in person workshops and with the high demand of requests I put together a course that not only is educational but inspirational - for all levels of photographers. Let me take you on this creative journey as this course is a game changer. I recently collaborated with the team at Karen Millen for their ‘Women Who Can’ feature. The goal with their campaign is to champion inspiring females, hear their unique stories and prove that anything is possible with a fast of self-belief! So as you can imagine - I was honored to be asked to be a part of it! Being in front of the camera is something I’ve been doing more of over the past year - featuring as an influencer where I often talk about my story or give advice. It’s a very different experience to being behind the camera but I’ve been enjoying the different perspective and the creativity involved. We decided to do the interview and shoot from one of my favorite areas in London (Bloomsbury) at my friend Maggie Owen’s home. Maggie’s presence and home is always a comfort away from home and it’s here that I often find myself when I’m in London - catching up over a glass of wine or later dinner. So I decided it was the perfect place for the relaxed shoot scenario. It was great to chat to the KM team about my feelings of being a women in a male-dominated industry and my advice on starting out. During the first few years of my career I’d often hide my feelings and put all of my energy into hard work and pushing forwards, despite me seeing a lot of my male peers jump leaps and bounds ahead of me, given opportunities I feel like I would never get. Starting at 14 years old I had very very big dreams and goals of being an international photographer - a dream that was shown to me by growing up with the rise of social media and realizing the industry was a lot bigger than I thought. I was given an outlook and suddenly my small town seemed too small for me. I’d often be told by mentors (and college tutors alike) that I should think a little closer to home, to perhaps just focus on assisting, to think about my ‘steps’ first. Although I was supported by my parent’s and close friends, I often battled rejection in meetings and asked about my age (still, this is one of the first things I often get asked in meetings!). I was often told I was “young but talented and they would keep their eye on me”. Battling with big dreams and rejection is like being on a rollercoaster. I would invest all of my money into my career, stay up countless hours at night to research and retouch images, get on early trains to London for personal shoots and days of meetings. I would drink 4+ cups of coffee a day. I didn’t stop. I was so determined to make it in the industry that there was days where I’d let the frustration drown me. And then there was days where I’d set there and tell myself to get on with it and that hard work WILL pay off.. and it did. Don’t get me wrong, there’s so many amazing male photographers out there that work super hard and they are doing fantastic things. I respect that. I respect hard work. However, I still feel there’s a lack of female photographers I our industry and there are many magazines and brands that preach they support females but then their entire roster of photographers that shoot for them are male. I’d like to see that change over the next few years. Then we get to imposter syndrome - which I believe we all struggle with from time to time. There’s often times I get to set and wonder “Why me? Why am I here? What If I show that really I’m an imposter being here today and I can’t do what they expect me to do?” - all with that all familiar anxious feeling in my stomach. I want to tell you that we ALL struggle from this, even the best of us. We are human, we have emotions. If you’ve worked hard for anything in your life you’ll find that you’ll be questioning yourself when you reach a goal. I am happy that brands like Karen Millen are starting to encourage more of the female gaze and opinion. It has also opened my eyes to being more aware of showcasing diversity and inclusivity in my portfolio. I want to show that every woman can be beautiful in front of the camera, no matter their age, ethnicity or shape and WHY NOT share that with the rest of the world? You can watch/read the video from my day with Karen Millen, here. I recently collaborated with Town & Country for their September issue as a T&C Muse. The T&C team visited my home in Brooklyn and we talked about my personal style and design aesthetic. As an artist, my personality comes through in the work I produce, but it’s also very visible in the way I dress + decorate my home. My home is not simply where I relax — it’s both my work environment and creative playground. My apartment is an open loft-style space with large windows and must be ready to transition from lounge to work space at any given moment (meetings or shoots can often come together last minute!). Living in your work space isn’t easy but it means you have to be clever with the way you design your space. Accessories are the key to making a large space seem more cozy. Minimalism is important, too. I like to recycle and sell clothing — space in NY is a rarity and if my space is clear then my head is clear! Perigold gives so much inspiration when it comes to decorating your home and it’s perfect for someone who works from their home. The reclaimed wood table by Kosas home is the perfect piece to display your favorite books or magazines. I am a lover of reclaimed wood and my dream space would feature reclaimed wood with a touch of glam (chandeliers + white flowers everywhere!). When it comes to accessories, it’s no surprise that I favor minimal pieces and clothing paired with a luxurious watch, bag, earring, or necklace. Breguet is simply all you need to make a whole look appear timeless and memorable. You’re wearing a piece of art. Breguet’s on-trend Reine De Naples rose gold watch works perfectly with the all-gold white look and it adds that simple touch of glam I’m always seeking. As a photographer who photographs jewelry for campaigns and editorial shoots, I know how important it is for the whole image to speak to the viewer. You want the jewelry to be the focal point of the photograph and to look at an image and say, “Wow, she looks great wearing that necklace” or “that earring really pulls the look together.” Not simply, “That earring looks great.” Buccellati has gorgeous pieces that enhance any look, such as their Rampage Pendant Earrings — the perfect accessory whether you’re dressing for day or night. A regular traveler needs a convenient bag and I’m someone who needs to pack everything but the kitchen sink when I travel. While the obvious choice would be to do a large classic over-the-arm bag, it can get very uncomfortable after awhile! Brahmin carries many luxurious and versatile bags. One of my favorite bags while traveling is the Brahmin ‘Belt Bag’ which is a convertible design that can be styled three different ways (I like the fact I can wear this when I’m on a photoshoot set, without worrying where my belongings are!). It’s also the perfect flight companion — I like to keep all of my travel essentials close when in the air. A fashion photographer’s career is defined by specific moments. Whether those moments are achieved by pure luck, connections, hard work (or a mix of everything) - it doesn't matter. What makes you memorable is the work you put out there and yes, the eyes that view it. I define my 10 career as a working photographer as a series of special moments - each one leading to the next big thing. Looking back, If you’d have told me, the fourteen year old photographer that one day I’d be shooting a supermodel for a fashion designer, I would have laughed (loudly). It’s a big contrast to me as a teenager working with what was available to me with little to no money - with my bedroom studio and the local fields/forests as my photoshoot locations, my thrifted wardrobe and props from eBay and the willing friends that appeared in my work. Little did I know all the hard work would pay off one day and I’d be starting 2018 with some of my most exciting editorial and advertising opportunities. I have worked with designers Sachin & Babi for over a year now and every shoot we do is an exciting challenge. Not that the shoot themselves are challenging (quite the opposite), it’s more that every shoot is different and keeps me on my toes. I like working with husband and wife team Sachin & Babi Ahluwalia because they get it. They appreciate classic timeless photography but are not afraid to push the boundaries. When they told me that they had secured Helena Christensen for part of their Resort 19 campaign I wasn’t surprised - they know exactly how to talk to their audience and in turn - create an inspiring shoot. It’s so rare nowadays to find clients that have a true appreciation for a timeless image so it’s always nice to work with them knowing that the images will appear in my portfolio (and stay there for a while)!. Our shoot location was a beautiful industrial art gallery space located in DUMBO (Brooklyn). 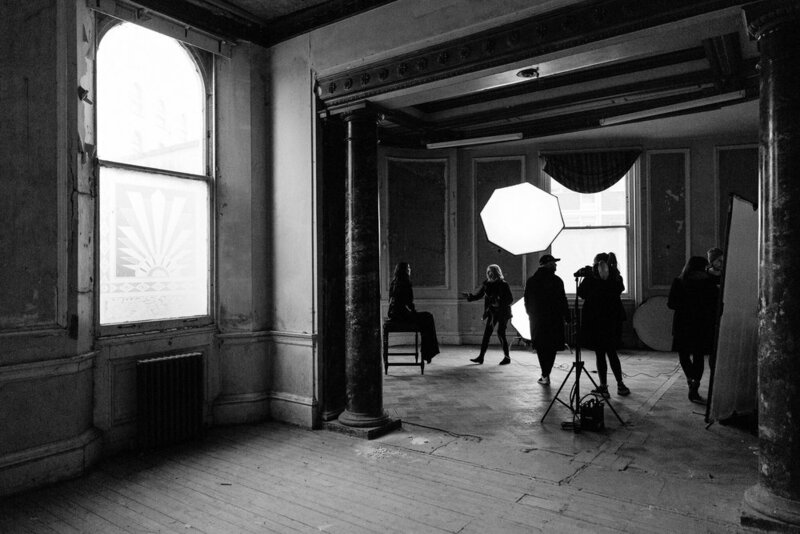 The space was every photographers dream with textured walls and pillars and huge windows flooded with natural light. Personally I love the mix of glam and raw - to give a contrast. Glam on glam is boring to me - I often find I’m mixing elements to give a dynamic and visually interesting shoot. I recently had the opportunity to photograph actress and all-around inspiring lady Anya Taylor-Joy for Rollacoaster Magazine's Spring 18 Issue. From the moment I saw her in the movie 'The Witch' she featured on my list of people I'd love to photograph. Her features are quite otherworldly and timeless. She portrays emotion extremely well - a photographers dream. Lately I've been really enjoying shooting talent, mainly because it's a very different set up to a typical fashion shoot where the model is in character for your concept. Typically you cast a model around your idea. When you're photographing a personality or talent it's more about them, especially because those photographs are used to accompany an interview or a feature. For this shoot for Rollacoaster Magazine I wanted to portray Anya in a timeless way - strong but feminine with an interesting edge - which I often see in the characters she plays. There's always something quite mysterious about her regardless of her role - you are captivated by her image. Finding out that she was a former ballet dancer really helped me plan the posing methods - making sure her feet were seen in a few of the shots and that her hands were softly placed. In the shots it was important that some of them felt like movie-stills, almost captured in moment even if she's looking at the camera. I wanted the viewer to feel as captivated by the stills as they are when they see her in moving image. With thanks to the wonderful creative team, 123 lighting, KO Production and also Anya's agents at Beaumont Communications. It was a pleasure working with you all. Recently I was lucky enough to be part of a shoot collaboration with fashion designers Sachin & Babi where model & all around leading lady Maye Musk took center stage - modeling for their FW18 new collection. A few months earlier I had found Maye's Instagram and was trying to think of a concept I could pitch or figure out a way to shoot her. She was in LA - I was in NY. I needed a reason to reach out to her. I believe that sometimes putting enough energy into the universe results in making things happen and funnily enough - it did. When the designers reached out to me saying they wanted Maye Musk for their next campaign it wasn’t even a question, I was already looking at moodboard ideas and concepts. Babi (Sachin & Babi’s creative director) recalls - “We were at the CFDA Awards last year, and out of the corner of my eye, I see this beautiful lady,”. The designers were captivated the moment they saw her and I instantly knew that’s probably what happens when everyone meets her. The moment she arrived on set all eyes were upon her - with her beautiful silver hair and calming aura. It was less than a day ago that son Elon Musk successfully launched the Falcon Heavy rocket and I could tell she was a proud momma. I mean who wouldn’t be? It’s hard not to want to sit and listen to her for hours when she tells her stories. On set and in-between poses she told me a little about her early modeling career and I found myself wanting to know more. So did my assistants who she happily chatted to in-between shots. I believe that’s how everyone feels when they meet her and I can understand why so many brands and magazines have her as the ‘model of the moment’. She has a story, she looks fantastic and she’s a genuine person - that says it all really. 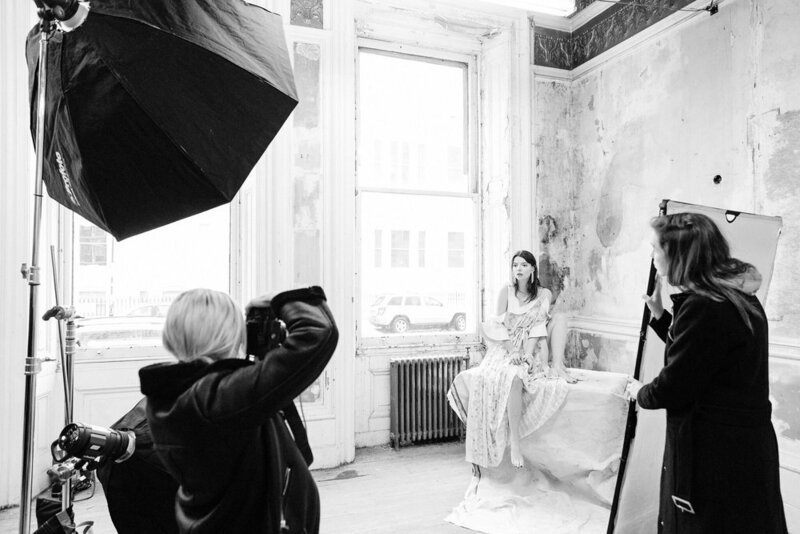 She moves so gracefully on set and she knows that’s part of the collaboration of getting a great shot - a true model. Today it’s more rare to find subjects who want to engage. It’s not just about the photographer but how well the subject interacts and wants to deliver. I am really proud of how this project turned out! I've been waiting for this shoot to release for a while! As a fashion photographer I always have my eye on trends. Whenever I am doing research a specific fashion designer's new collection can instantly trigger a shoot idea! In that moment I am already in hours of research and moodboard creation to try and make it happen! When I saw the Dior Resort 18 collection I knew I HAD to shoot it and that was that! A few weeks later we were finally on set creating magic with our perfectly fitting model - Bhumika Arora. This is quite possibly one of my favorite studio shoots to date! I recently had the opportunity to shoot for the July/August issue of Harper’s Bazaar Kazakhstan with the amazing Veronika Vilim (Wilhelmina Models). I always sit on my editorial shoot ideas and wait for the perfect opportunity – when the chance arrives and it seems like a good time to plan I go full steam ahead in trying to bring that concept to life. Like many artists, I have folders and folders of ideas and mood boards that are just waiting to happen and I always wait for the right time (fashion season) to shoot them. For this shoot the casting was extremely important because the clothes were strong – the powerful shapes and metallics needed a confident subject in front of the lens. A subject that also understands their own movement and clothing. Big thank you to an amazing team who were supportive of my vision and not afraid to encourage me to work outside of my comfort zone! 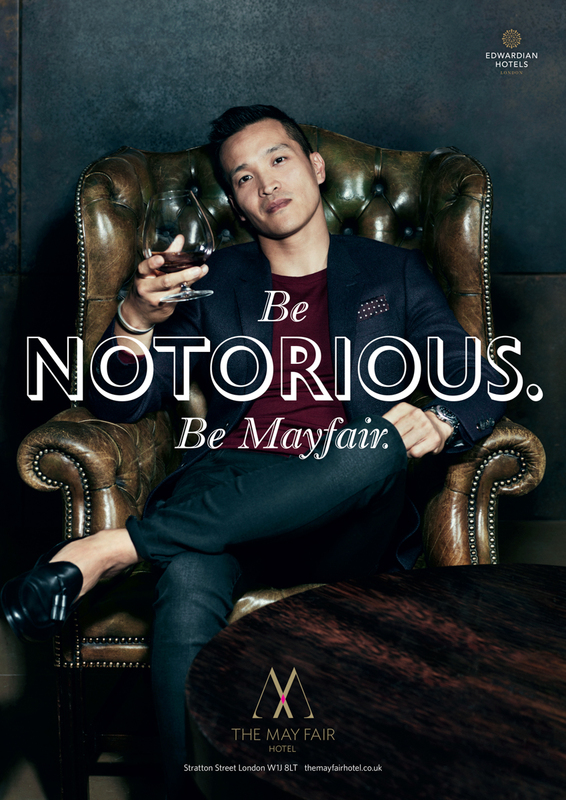 I recently shot a global campaign for the May Fair hotel in London and I’m excited to finally share these visuals with you all! This is an international campaign so you’ll probably be seeing the shoot in magazines, newspapers as well as digital and social platforms very soon! Commissioned by Saatchi Pro and produced by Mana Production, the campaign was created to showcase the lifestyle of the hotel and everything it has to offer – from shopping, weddings and spa breaks. The unique part of shooting the campaign was getting to work with the hotel staff – who were cast and featured in each visual. We shot all 8 visuals over two days in various locations in and around the hotel. As a photographer it’s my job to tell a story. As a commercial photographer it’s my job to elevate a brand’s story even if I am working under direction. For me – the inclusion of hotel staff and using the hotel as the location makes me feel like I am part of a campaign that tells a real brand story – an authentic one.